Companies from the construction, investment and development branches of Asia’s real estate industry are all seeing top level changes in their teams this week, including a new chairman at the Hong Kong division of China’s largest construction company and a Canadian insurer appointing a veteran investment executive to lead its real estate operation in the region. We also have top level moves from logistics specialist Logos and more excitement from a Chinese casino developer with a history of ups and down. In a makeover of its top level leadership in Greater China’s biggest real estate market, China State Construction International Holdings, the Hong Kong-based subsidiary of mainland construction giant CSCEC, announced last week that it had appointed China Overseas Land and Investment chairman and CEO Yan Jianguo, as an executive director and chairman of its board of directors. Yan has held the top roles at COLI, which is the primary development subsidiary of CSCEC, since mid-2017. At CSCEC, Yan is replacing Zhou Yong, who resigned from his duties as chairman effective March 22nd after leading the company since 2013. Manulife Real Estate this month announced the appointment of former JP Morgan and KHI Holdings executive Kenneth Tsang as Managing Director and Head of Real Estate Asset Management for Asia. Manulife created the new role after having expanded its real estate assets in the region to $2 billion with office acquisitions in Melbourne, Australia and Singapore. Prior to joining the real estate investment division of Canadian insurer Manulife this month, Tsang had spent four years leading real estate investments for privately-held Hong Kong investment firm KHI Holdings, which gained fame from developing the Furama hotels. Tsang also spent seven years with JP Morgan Asset Management, leading its property investments in the region. Logistics specialist, Logos, announced this month that it has appointed Peter Garrison as Head of Strategic Customers, a newly-created position, based in Singapore. In his new role, Garrison, who formerly managed leasing for Logos’ 1 million square metre China development portfolio, is charged with assisting third-party logistics firms, ecommerce players and other end-users of logistics space with managing their requirements across the Asia Pacific region. The Georgetown University graduate also is charged with assisting clients with deriving value from emerging innovation areas, including automation and robotics, last mile logistics and sustainability. Garrison originally joined Logos in Shanghai in 2016 from Brookfield Logistics Properties, and also has experience with Colliers International. Mainland developer and casino operator Landing International has seen its COO, Jay Lee Poh Yee, leave the company after it warned earlier this year of a loss for the 2018 financial year, according to media reports. Lee had been with the company, which is developing an integrated resort on Korea’s Jeju Island, since 2016. The former executive of Malaysian casino firm Genting’s Resorts World Sentosa had joined Landing around two years after being fined S$20,000 for his role in an illicit promotional scheme at the Singapore gambling destination. Sheridan Ware has left Cushman & Wakefield after 11 years with the property services firm to take on the role of Chief Information and Technology Office with Australian real estate fund manager Charter Hall this month. Ware had been most recently based in Hong Kong with C&W where she served as the company’s Chief Information Office for Asia Pacific and Greater China, and had previously worked with the firm in Shanghai and Sydney in tech leadership roles. Inchon Choi has joined Savills Korea as Senior Director for Property Management and Logistics, based in Seoul. Inchon joins the property consultancy after having previously worked at ARA Korea (formerly Macquarie Real Estate Korea) as Head of Business Development and Asset Management since 2013. Prior to ARA, Inchon worked at Samsung Life Insurance, Morgan Stanley Capital Korea and Hyundai Asset Management. 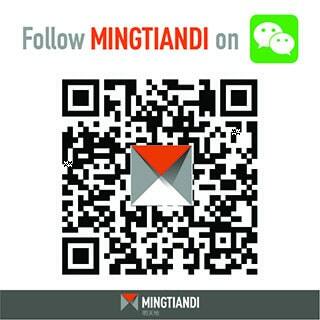 If you know of other Asia real estate professionals changing their jobs, getting promoted or just doing something exciting, please contact us here at Mingtiandi.